Japan’s most successful all-girl rock band Scandal just started its longest European tour so far on the 10th of September and they will be on the road till the end of the month, doing ten shows altogether. So, before they left for Europe I arranged an email interview with them, asking them about their latest releases, cover bands, song writing and the state of all-girl rock groups and idols in Japan. You have your 10th anniversary this August. How does it feel to be in the band for ten years and will you have any special celebration to commemorate the anniversary? HARUNA: We are so proud of ourselves, because we’ve been continuing our activities for 10 years with the same members. It is so good to work together. TOMOMI: I was so touched when I saw the audiences in our 10th anniversary concert. I’m so happy to be here with the help of our fans, staff, friends and family. One of our dreams was to organize our own festival and the dream has come true. The fireworks at the end of the festival are also one of the best memories. 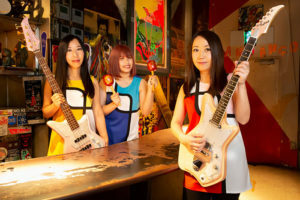 There are a lot of all-girl rock groups in Japan, both at underground and mainstream level… Shonen Knife, Noodles, Kinoco Hotel, Chatmonchy, Tricot and so on… Why do you think that forming all-girl rock groups is such a common thing in Japan? RINA: There are so many girls bands in Japan nowadays, but there were not so many when we debuted. But there is definitely one girl’s band in every certain period, such as Princess Princess, ZONE, Chatmonchy and JUDY AND MARY, which was not a girl’s band (in JAM, only the singer, Yuki was a girl, who later went on to start a solo career and is considered a very influential figure and role model), but have influenced so many girl’s bands. The style of music is varied at the present time, because of the achievement of previous girl’s bands. When people think of Japanese girl groups, usually the first thing that comes to mind are idol groups, as AKB48 and the like. What is your opinion on such idols acts? 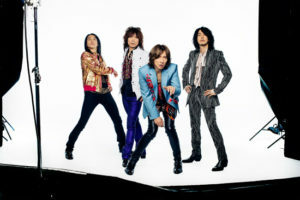 Do they have a rightful place or role in the Japanese music industry? HARUNA: The culture of idol groups have existed in Japan since a long time, even at the time of our parents, and I think it is a kind of revival of that period. After a boom of idols, there were a boom of bands, and these booms are repeating as a kind of counterculture for each other. But the borderline between idols and bands has been disappearing for a few years. MAMI: I think so too. Nowadays idols appear to do a gig at rock festivals, a rock band write a song for an idol etc, so idol groups and bands exist together. 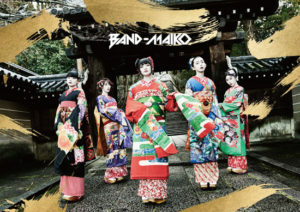 Hybrid artists of idol and band as BABYMETAL have also came up. Different from our music, but the idols have obviously a rightful place or role in Japanese music industry as long as the audiences want to listen to them, because their music is good quality and simply I enjoy their music. Haruna, in an interview last year, you said that Namie Amuro was one of your main inspiration of becoming a musician. Was it her music, her career or her strong, independent woman kind of personality that you found inspiring? HARUNA: All of them. Especially it was my first self-conscious experience of music. 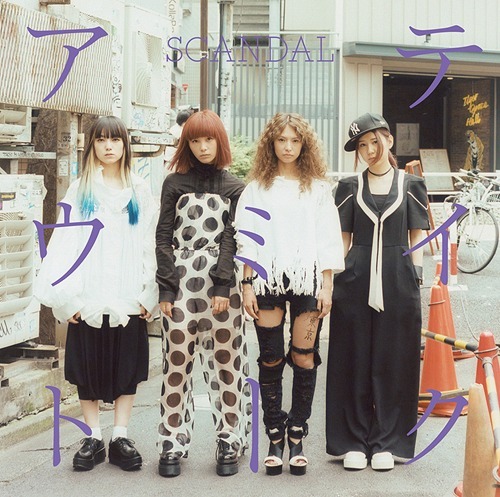 Scandal is known to go out of its comfort zone and experience with different kinds of music, like you did with the Dobondobondo and Almond Crush projects… What other music genres would you want to expereince with? TOMOMI: I’m interested in acoustic music. RINA: And if we want to do some instrumental sessions in our gigs. As far as I know you hold an annual Scandal cover band competition. Could you tell us about this? HARUNA: We heard many of the bands who cover our music, so we wanted to make an occasion to perform in front of audiences. TOMOMI: And simply we want to see them (laugh). At the Best XMAS concerts you covered several tracks by various Johnny’s boygroups. Are you girls Johnny’s fans or why did you pick their songs? TOMOMI: We have the custom of doing end-of-the-year party in Japan with friends or colleagues, and we often do karaoke also for this kind of party. “Best Xmas” is like an end-of-the-year party with our fans, that’s why we covered them with karaoke. MAMI: So we covered some songs of Johnny’s because everyone knows and can sing every year. It doesn’t mean much (laugh). Are there any “secret favorite” Scandal songs for you? Tracks that are not amongst your well known hits, but that you girls really like for some reason? RINA: Morning sun in the album YELLOW has turned out in a different way from our previous songs. I like it very much because it is an acoustic tune with a little bit of folky elements. HARUNA: RINA wrote the lyrics. I feel tender and strong when I sing it. You came out with a new single, テイクミーアウト (Take Me Out) at the end of July, can you tell us about that? MAMI: It is a rock tune, I made it, imaging to play it in our gigs. I think this song will be indispensable to play for our future gigs. Your music is usually written by other producers, while your lyrics are written by you. How do you fit the concept of the music and lyrics together, do you work together closely with the composers during the songwriting process? 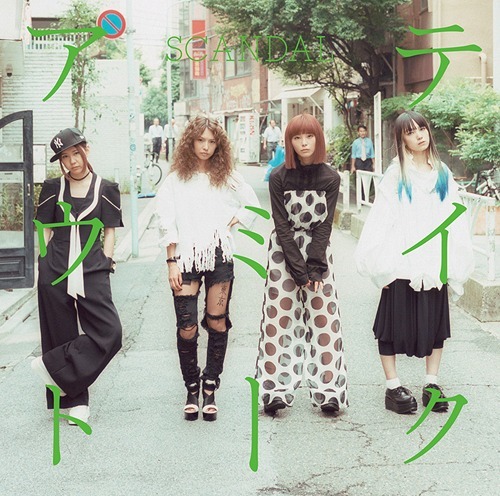 HARUNA: Case-by-case basis, sometimes the music came first and we wrote the lyrics according to the music. And we told the images of the song to a composer etc. TOMOMI: Sometimes the lyrics came first! As EVERYBODY SAY YEAH!. MAMI: Now we can compose, so there will be less occasions to work with composers. When you submit a song to an anime or commercial, what is the usual process? They pick a song that’s already finished or you write songs directly for them, and try to fit it to their needs and expectations? HARUNA: Case-by-case basis also for that. But most of the cases, we compose and write according to the concept of the works. Or sometimes we propose some demos and they pick a song. You gave countless interviews both to local and international media. Are there any questions that nobody ever asked, but you feel that it would be interesting / important to talk about? Thanks for B7klan for making this interview possible! Scandal tour dates for 2016 September can be found on B7klan’s site.